An Illuminating, refreshing, vegan skin conditioning setting spray. 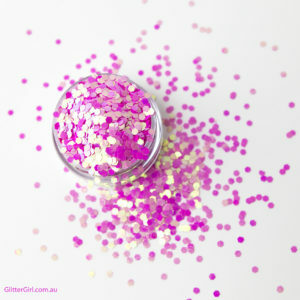 This is an amazingly Sparkly and Natural product without any nasties at all!! 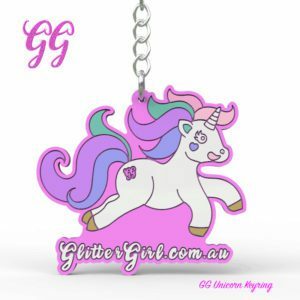 Suitable for sensitive skins, kids of all ages right up to elite performers as well as your Grandma who we know is a Sparkly Unicorn too! This beautiful & balancing mist is made of Rose flower extracts and botanicals to help hydrate, restore & soften the skin whilst giving you a gorgeous Unicorn Glow. Suitable to be sprayed from the tip of your toes up to your hair and everything in between. 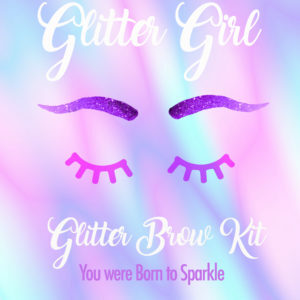 Have a friend spray it for your as you enter a room and float through the shimmery rosewater goodness to become the Unicorn we truly know you are in your heart of hearts. 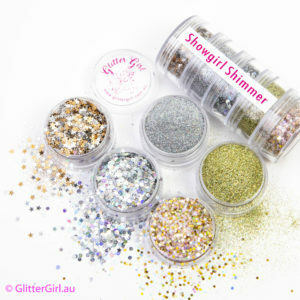 We are proudly an Australian family business driven by the idea’s of our ultimate Glitter Girl. 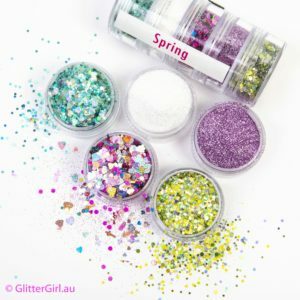 We sell Hypo allergenic, cosmetic grade, biodegradable, cruelty free Glitter Makeup, Biodegradable, Vegan loose Glitter, Glitter filled Accessories and novelty gift ideas for you and your friends. Harvested from our magical stable of thoroughbred Unicorns, with the utmost care.